These data won't come as a surprise to regular readers. In late November, IndexCreditCards.com published More spending, more credit card use expected this holiday season, which included The Nilson Report research that predicted the trend. 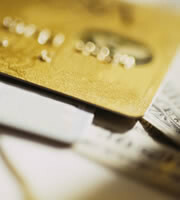 That article welcomed the news, because increased use doesn't necessarily mean increased credit card debt. Many who pay by plastic routinely pay their balances in full each month, while enjoying the perks, protections and rewards that only credit cards can provide. Of course, some do carry forward balances, but there's little sign that significant numbers of them are getting into financial trouble. Indeed, when JP Morgan Chase, the nation's biggest credit card issuer by some measures, published on Jan. 14 its results for the third quarter of 2013, it noted that delinquencies (seriously late payments) and "charge offs" (when bad debt is written off, and passed for collection) both continued their long-term downward trend during that period. There is little appetite for a return to pre-credit crunch levels of card borrowing. However, responsible use of plastic -- and especially rewards credit cards -- can bring real benefits, and it's generally good that consumers are moving on from a phase in which they cut off their noses to spite their faces by using debit cards. 0 Responses to "Credit cards' strong holiday comeback"